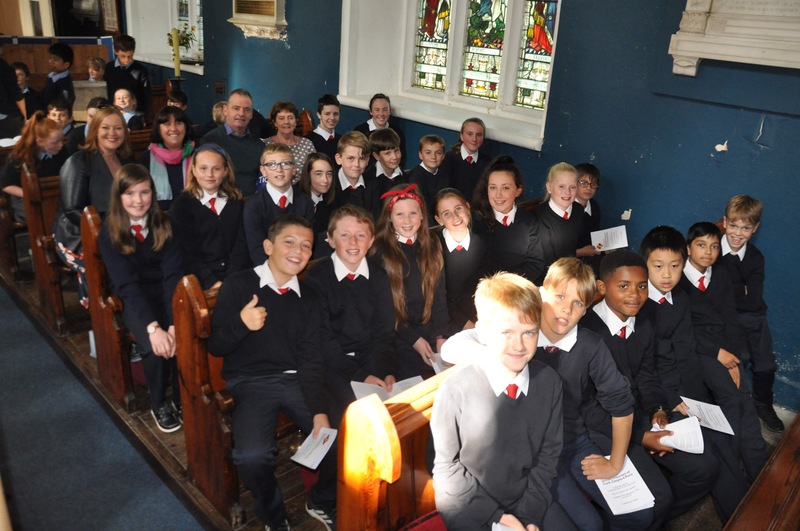 The annual Diocesan Service for Primary Schools in the United Dioceses of Cork, Cloyne and Ross was held in Saint Peter’s Church, Bandon on Thursday morning, 27th September. The Bishop, Dr Paul Colton, who organises the Service each year, presided. At the outset he welcomed two clergy visitors from the Diocese of Lichfield and also Caroline Nolan from Cumann Gaelach na hEaglaise. The church was full to capacity and extra seating was brought in to accommodate the schoolchildren and their teachers. The organist was Mr Peter Stobart. The choir from St Multose National School, Kinsale under the direction of Ms Phoebe Tak Man Chow sang Kyrie from the Little Jazz Mass by Bob Chilcott. St Multose National School, like other schools in the Diocese, takes part in the Diocesan Church Music Scheme. 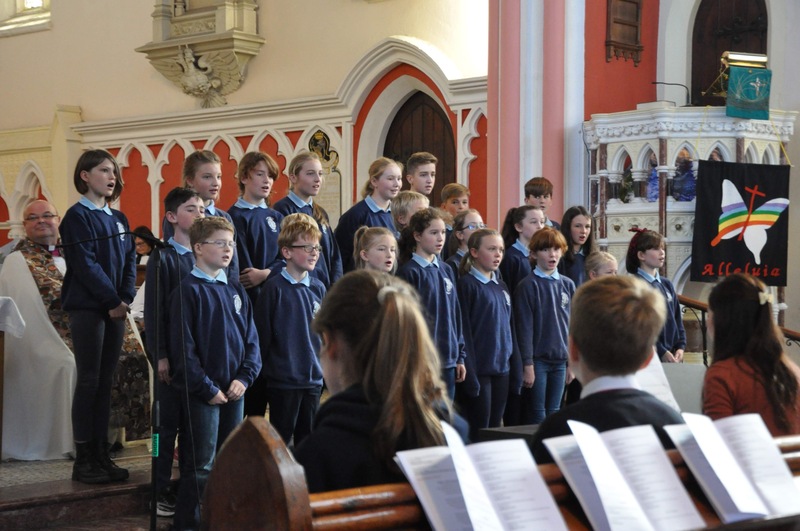 The choir of St Multose National School, Kinsale. 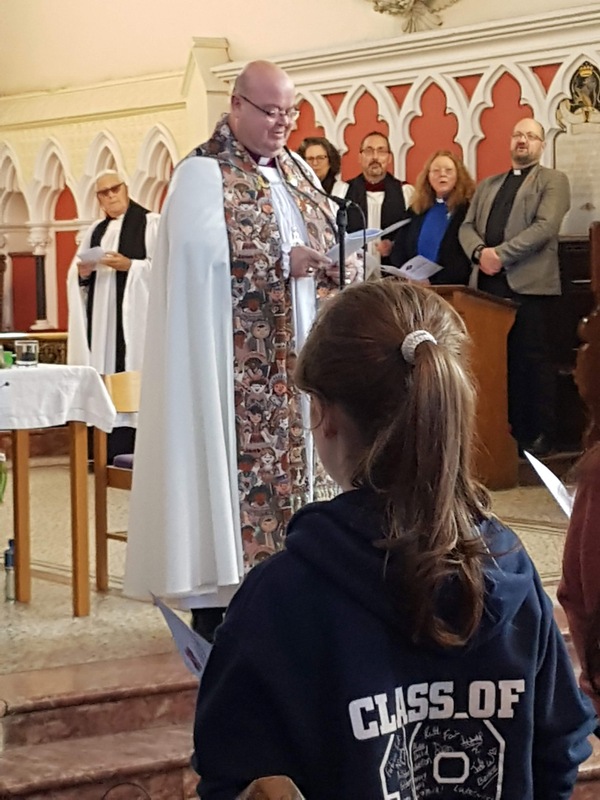 The sermon was preached by Canon Paul Willoughby who spoke about God’s world being for all of us regardless of where we are from or who we are, and of our responsibility for the world and for each other. 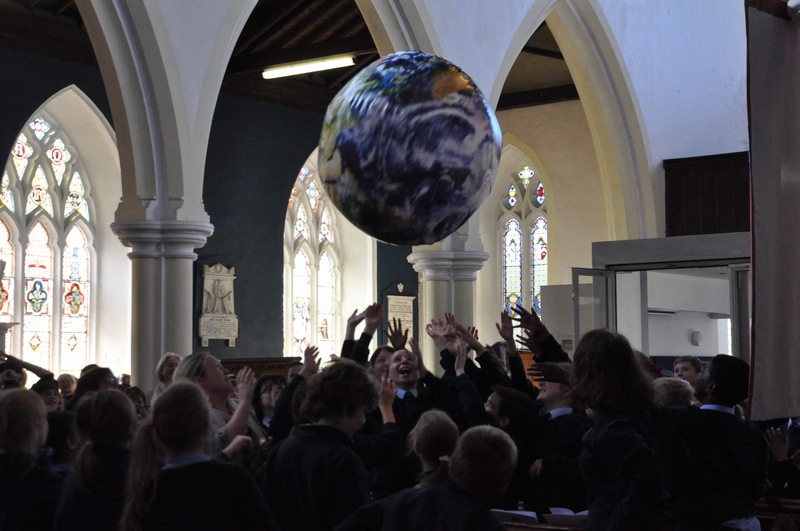 A large inflatable globe made its way around the large church and every child was encouraging to reach out and to touch it as a sign of our belonging together and our responsibility for creation. 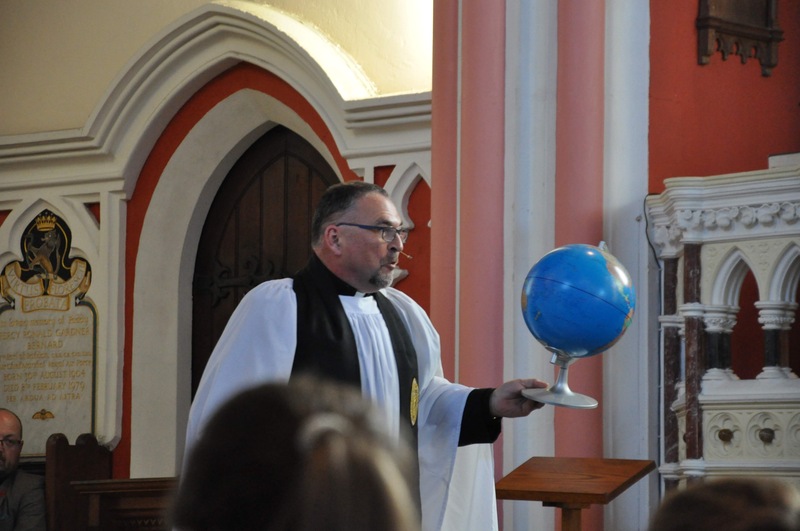 Canon Paul Willoughby holds up one of many globes. The globe makes its way around the congregation! The collection in the schools was in aid of the Diocesan Project – jointly between Bishops’ Appeal and Christian Aid – to support farmers and coops in Burundi in the growing of maize. The children collected nearly €1,637 for the project. 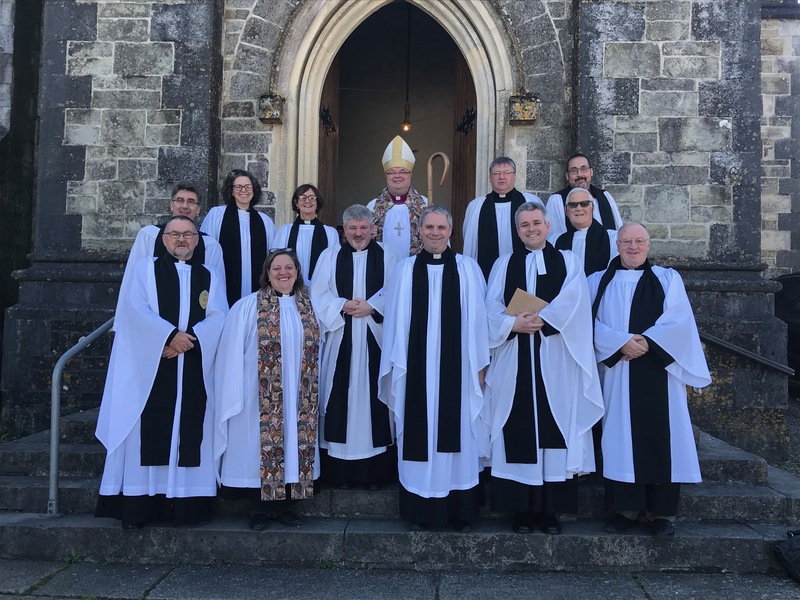 Some of the clergy who, with the Bishop, attended this year’s Diocesan Service for Primary Schools in Cork, Cloyne and Ross.